SEGD Branded Environments — held in partnership with the Digital Signage Expo (DSE) 2017— is the event for the design of brand-centric customer experiences. Through a focused learning experience, attendees will learn how to plan and design user-centric brand environments and experiences that engage customers in new and memorable ways. Sessions will feature case studies, insightful presentations and dialogues with global design leaders that will focus on the value of design and brand for businesses. Speakers will present practical insights about digital integration, content and media, and the business of designing and managing for users and clients. On the second day, attendees can opt for a premium experiential tour of the T-Mobile arena, then see the technology in action with an insider tour of the Digital Signage Expo 2017 show floor led by Reality Interactive. 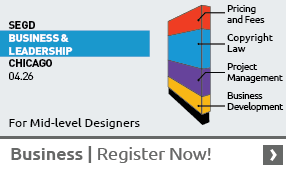 Branded Environments at DSE will be held at the Las Vegas Convention Center. DSE has room blocks reserved at various hotels in Las Vegas, with the earliest deadline to reserve at the DSE discount being February 24. Make your reservation. Does Consistency in Design Lead to “Blanding”? 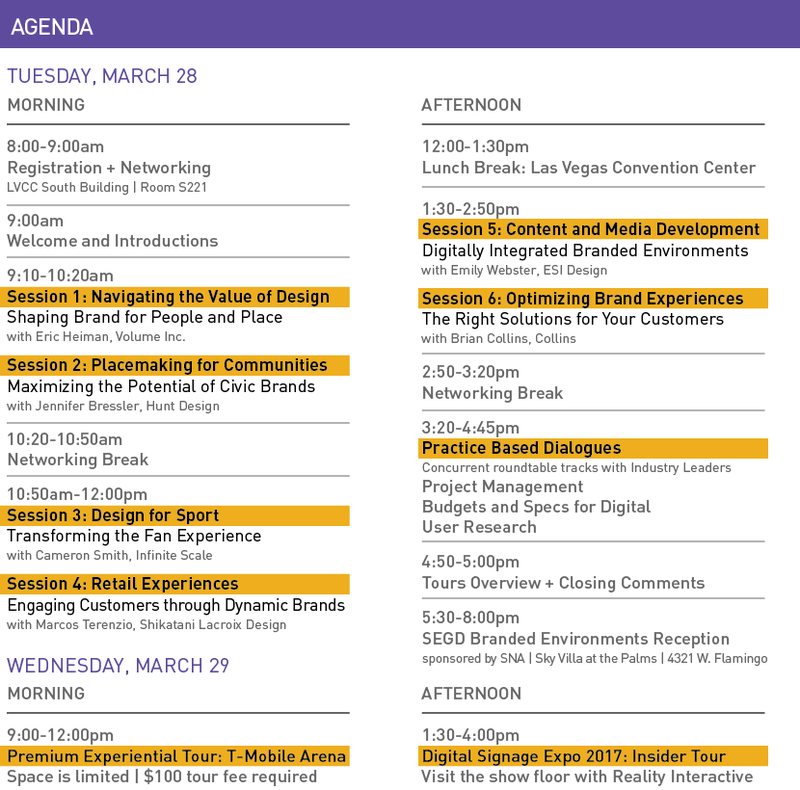 When I attended the 2017 Digital Signage Expo in Las Vegas, Eric Heiman of Volume Inc. was speaking at the SEGD Branded Environments event. I sat front-row in a room filled with over 150 environmental graphic designers and those that help us do what we do, and I heard the term “blanding” for the first time. This year’s decision to bring the topic of Branded Environments to DSE was made to strategically expose as wide an audience as possible to the value that brand integration brings to environments, spaces, communities and places. That clearly resonated with attendees with an increase of over 50% in registrations.